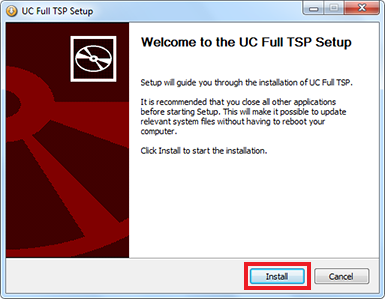 This document will guide you through the process of Installing and configuring the UC Full TSP Driver. 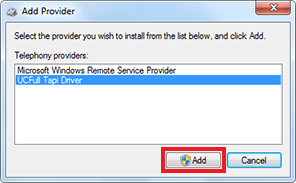 First download and launch UC Full TSP Driver Installer. 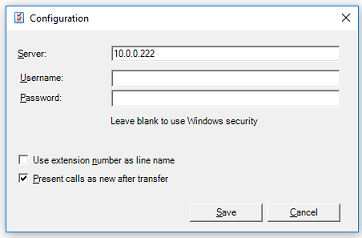 Click "Install" and wait for the installation to finish. 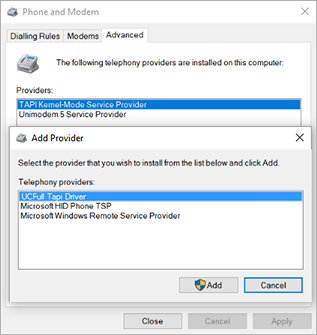 Navigate to "Control Panel\All Control Panel Items\Phone and Modem". Restart PC for changes to take effect. 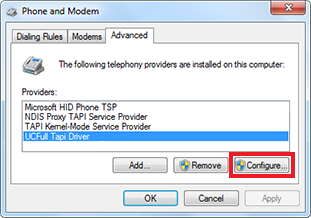 After restart, open the "Phone and Modem" options again and select "Configure" against the "UCFull TAPI Driver". The screen to the side will be presented.